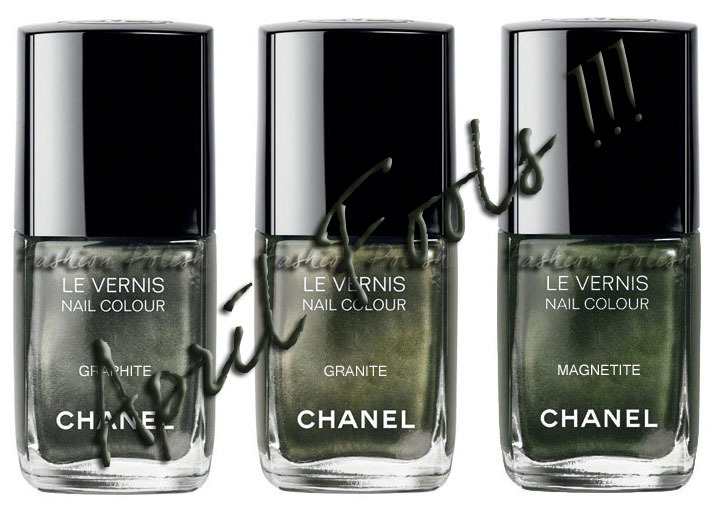 Fashion Polish: Chanel Fall 2011 Limited Edition Collection "Les Roches"
Chanel Fall 2011 Limited Edition Collection "Les Roches"
This fall, Chanel will once again create the buzz with its new Limited Edition nail polish set "Les Roches". I am very happy today to be able to give you a world wide exclusive preview of this most-anticipated collection. Three new nail polishes will be available for a very short time : Graphite, Granite and Magnetite. 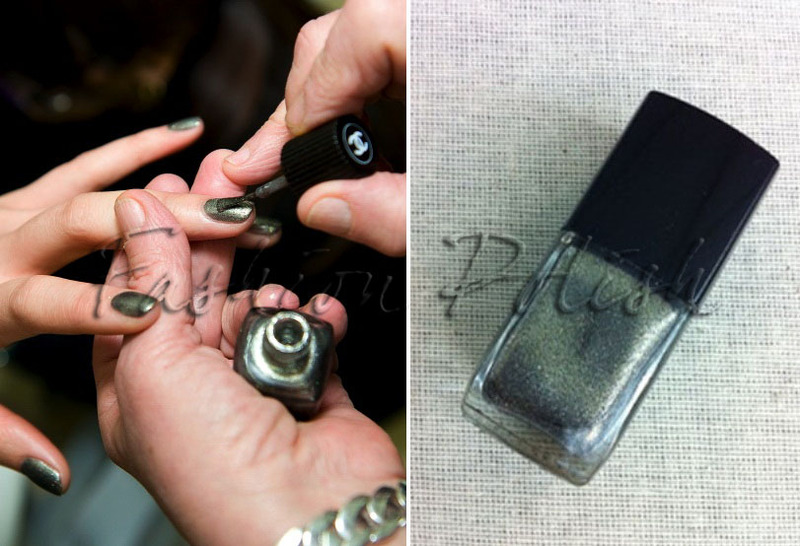 The foil finish will take us into a new industrial metal-colored experience. Now, I don't know about you but I can't wait to get my hand on this new trio! Oh my gosh, I *need* Magnetite! Gotta start saving $$$ now! Magnetite looks amazing! Chanel did again!!! Graphite seems like a lovely colour, but I don't understand why are these shades of grey so "in" lately. I really like it, but you know, ANOTHER gray polish isn't exactly innovative. Good one, I totally fell for it! I think this should be forwarded to Chanel ASAP... it's a great idea and the names are really clever! @Liz (Beauty Reductionista) @L HAHA, I had so much fun doing this!!! I'm glad you girls enjoyed the joke. I sure wish it was true, maybe Chanel should visit this post for inspiration! Well done! I was completely fooled and in a pre-lemming holding pattern for Magnetite. bon j'ai pas tout compris si c'est une blague ou pas ! mais en tout cas j'adore les couleurs !! si c'est pas une blague je les veux !!! They all look so close, but one of them will definitely be mine, probably Graphite!